. :: Reyhani Akan - Abode of Creativity ::. 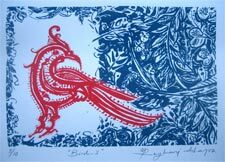 REYHANI AKAN: In 1971 born in Erzurum in Turkey Reyhani Akan started his education at Bursa Uludag University Faculty of Fine Arts, Painting. He gained his scholarship of Australian Government and studied at Western Australian Academy of Performing Arts at Edith Cowan University for 1 year. He graduated as the first and most succesful from Uludag University. 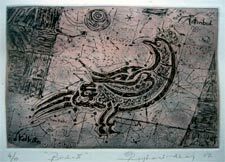 Reyhami opened 24 solo exhibitions in Turkey and abroad; his works of art were exhibited over 40 joint exhibitions. Reyhani Akan has taken part in many international and national organizations and his works of art were entitled for many prizes. He is the member of U.P.S.D and BASAD, his works take place in the state and private instutions.